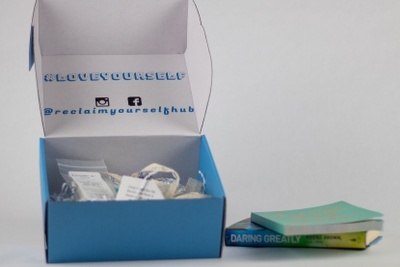 Enter your email address below to receive a notification when Reclaim Yourself starts accepting new sign-ups! Enter your email address below to receive a notification when Reclaim Yourself is accepting new sign-ups again. Use code MOMSDAY at checkout to get a special 15% off discount! Order by the last day of the month to receive a box that ships out by the 4th of the following month. 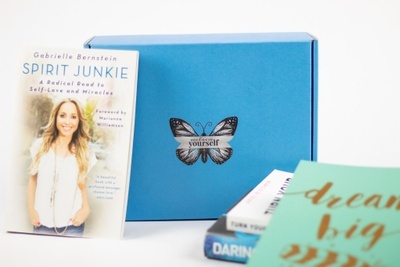 Ex: Order by April 30th to receive a box shipping out May 4th! Gift orders received between May 1st and May 20th will receive a beautifully designed card describing their upcoming gift! 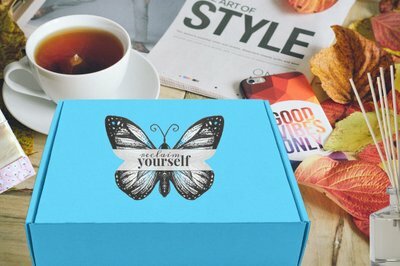 Reclaim Yourself - Upgrade your self-care box! 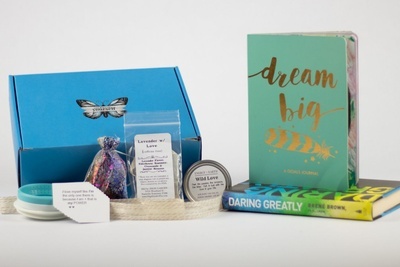 Reclaim Yourself is a subscription box providing a curated, monthly journey of self-development with monthly themes, inspiring books, self-care products, and an online community with themed resources each month! Each box includes an inspiring book, one custom tea blend, one unique aromatherapy item, plus additional useful self-care items. Each month features an inspiring book focused on that month's theme in self-improvement and development! 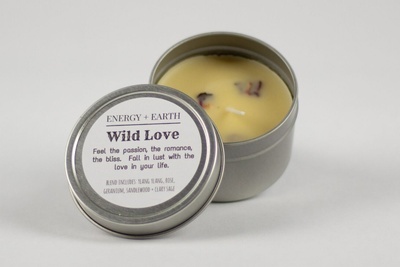 Quality self-care items include 100% beeswax candles made w/ essential oils, organic custom tea blends, 100% natural bath items, and more! Receive a suggested reading plan, plus curated music and podcast recommendations to dive deeper into the month's theme! An online community to connect, learn, and discuss that month's theme! A portion of the proceed benefits a non-profit organization voted on by the community each month! Do good for others while doing good for yourself! I was so excited when I ordered this box. It looked like exactly what I wanted. But after not receiving anything--no box and no communication--and then they charged my card again still without shipping anything. They didn't respond to my emails. I finally had to reach out to Cratejoy to get my money back. And still no apology or anything. Don't order this. It's a great idea, but they clearly don't have their business model together.